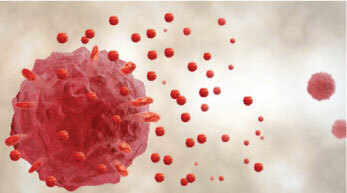 Extracellular vesicles (EVs), such as exosomes and microvesicles, are released by different cell types and participate in physiological and pathophysiological processes. 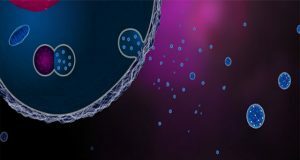 EVs mediate intercellular communication as cell-derived extracellular signalling organelles that transmit specific information from their cell of origin to their target cells. 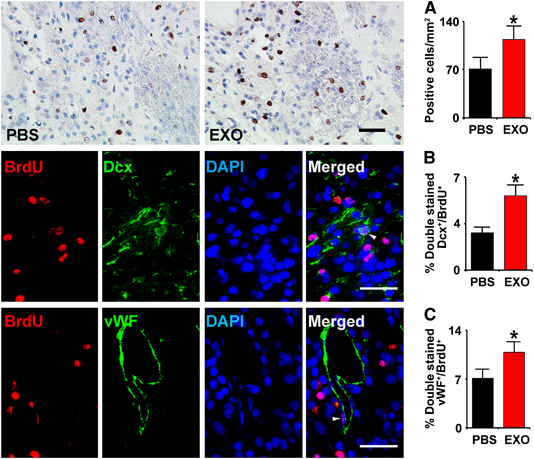 As a result of these properties, EVs of defined cell types may serve as novel tools for various therapeutic approaches, including (a) anti-tumour therapy, (b) pathogen vaccination, (c) immune-modulatory and regenerative therapies and (d) drug delivery. The translation of EVs into clinical therapies requires the categorization of EV-based therapeutics in compliance with existing regulatory frameworks. 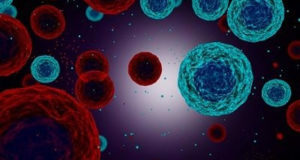 As the classification defines subsequent requirements for manufacturing, quality control and clinical investigation, it is of major importance to define whether EVs are considered the active drug components or primarily serve as drug delivery vehicles. For an effective and particularly safe translation of EV-based therapies into clinical practice, a high level of cooperation between researchers, clinicians and competent authorities is essential. 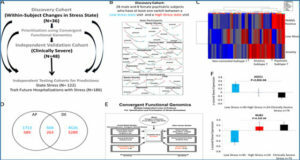 In this position statement, basic and clinical scientists, as members of the International Society for Extracellular Vesicles (ISEV) and of the European Cooperation in Science and Technology (COST) program of the European Union, namely European Network on Microvesicles and Exosomes in Health and Disease (ME-HaD), summarize recent developments and the current knowledge of EV-based therapies. Aspects of safety and regulatory requirements that must be considered for pharmaceutical manufacturing and clinical application are highlighted. Production and quality control processes are discussed. Strategies to promote the therapeutic application of EVs in future clinical studies are addressed. Pharmaceutical categories and a suggested classification of EV-based therapeutics. Chart depicts the Categories of Medicinal Products with respect to their origin (chemical, biological, herbal). Medicinal Products (according to DIRECTIVE 2001/83/EC) include any substance or combination of substances for treating or preventing disease in humans. 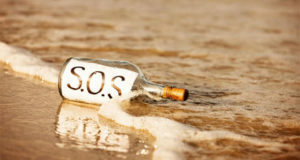 Any substance or combination of substances which may be administered to humans with a view to making a medical diagnosis or to restoring, correcting or modifying physiological functions in humans is likewise considered a medicinal product. 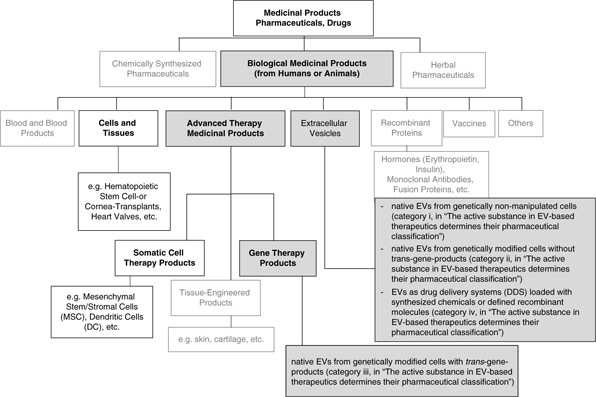 The suggested classification of EV-based therapeutics within the class of biological medicinal products is provided (grey fields). Bold indicates categories from which existing legislation is recommended to be considered for preclinical and clinical development of EV-therapeutics.